Hybrid Bass fishing is a great experience for any fisherman young or old. Guided Fishing is a great way to exploit the explosive fun that Hybrid Bass bring to the table. Hybrid Striped Bass are a cross between a Sand Bass and a Striped Bass. Every year Texas Park and Wild Life introduce 100s of thousands of Hybrid Bass fry into Lake Lewisville. Hybrid Striped Bass have the fight of a scrappy Sand Bass and the size of a Striped Bass. Often people mistake Hybrid Striped Bass for Sand Bass. This unfortunate mistake results in many Hybrid Stripers not getting a chance to grow up provide the fishing excitement they were intended to. Hybrid Stripers can be identified by their color and the pattern of broken lines present on the fish. Hybrids have blue tint where as Sand Bass are more grey. The Striped pattern on the side of Hybrids is broken where as Sand Bass present straight unbroken lines. If lines on the side of the fish are broken and it is under 18inches through it back. Hybrid Striped Bass are know by many aliases, Plamento Bass, Wipers, Sunshine Bass, etc. 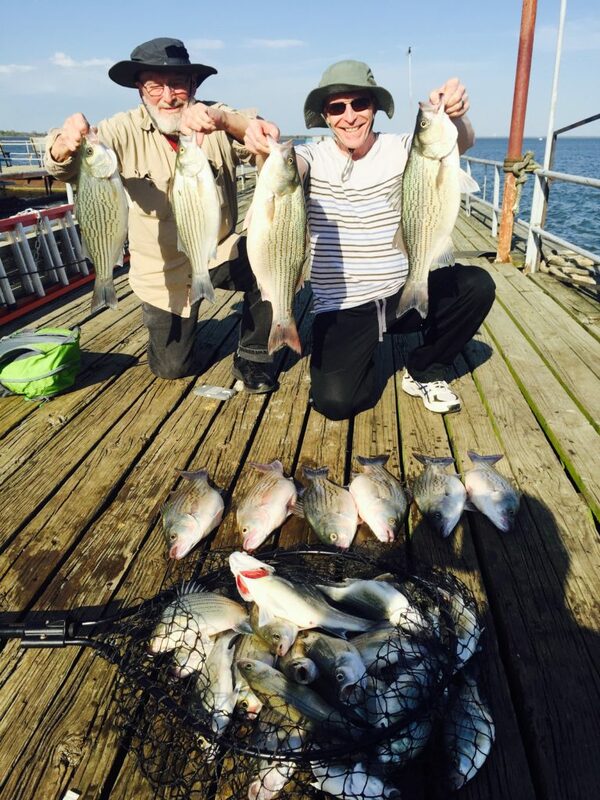 In Texas on Lake Lewisville we simply call them Hybrids. Hybrid Striped Bass are active all year long. Their location varies on the lake depending on the time of year and weather conditions. Once water tempeture drop below 70 degrees in the fall, the hybrid bite gets good. They can be found schooling off points on windy days and open water on cool days. In the fall Hybrid Bass come to the surface to feed and can be taken on top waters. When you hook a Hybrid Bass you realize you got something special on the end of your line. Once per Once they are one of the hardest fighting fish there is. Large Hybrids will leave your arms aching and wanting more. If your wanting Hybrid action a guided fishing trip is the perfect way to go. I catch the largest Hybrids of all the Lake Lewisville Fishing guides.